There are times when a food bar makes sense. You might need a snack or you might just be in the mood for a very light meal. Food bars are convenient and often filling and can store in your purse or desk for months, being ready when you need it. But most are really very poor choices, are not the best foods to eat and do not fit the philosophy of thebestfoodstv. Some are extremely poor choices and detrimental to your health. But thankfully there are some that are clean from contaminants and are actually really good for you. Here are four great food bars that you won’t find at your local health food store as they would be priced much to high with store markups and a couple others that you might find in some stores but are still to quality. Most cheap bars you find in stores and even health food stares have primarily ingredient such as Soy Protein or Soy Protein isolate. If you care about your deep health, never buy one of these. Almost all of that is extracted from GMO soy using hexane, a dangerous and flammable chemical. 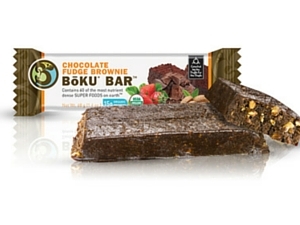 Our Top rated Food bar is Boku Super Food Bar, now labeled as Boku Super Bar with a wrapper change in 2015. This is also our personal favorite. Some days a breakfast consists of a couple Boku Food Bars, some vitamin D3 and a couple fish oil capsules. For an instant on the go breakfast, this packs a lot of nutrition and energy. This bar is also my personal favorite snack of any food. It tastes that good. This bar is unique in several ways. First, being all non-GMO, this bar’s list of ingredients contain some superstars. Instead of junk soy protein isolate, the first ingredient is Almond Butter, a great source of Vitamin E, magnesium and protein. But the bars powerhouse of nutrition comes from its next group of ingredients. We know that sprouted foods and sprouted veggies have many times more nutrient than the mature plant so you will like this list. Organic Sprouted Brown Rice Protein, Organic Sprouted Flax, Organic Sprouted Quinoa(a powerful food by itself), and organic sprouts of Pumpkin, Broccoli, Cauliflower, Kale, Cabbage and Red Clover. Next is fair trade cocoa. This with some agave nectar gives this bar a taste close to a fudge brownie. This is one of the best tasting food bar anywhere. It has some raisins, strawberries and Almonds thrown in as well. These bars are on the high end price-wise but are still a tremendous nutritional value. Another interesting fact about the Boku Food Bar is that it was in large part created by an online nutrition and health community. Initially the bar included the Boku Super Food instead of the long list of sprouts. While the sprouts are more expensive, the super food has medicinal mushrooms in it so I wish they had not reformulated it as they did in 2014. You do owe it to yourself to try these food bars at least once. They are that good. Cocochia Food Bars from Living Fuel are another source of a nutritional snack. A couple of these could be a meal replacement as well. Living Fuel supplies its own line of products which are some of the most dense nutritional products anywhere and the Cocochia bars follow this pattern of uniqueness. The main ingredients are coconut, chia seeds and almond butter. The Chia seeds slow down digestion of fats and carbs making this a bar they call “sustained energy”. Chia seeds are perhaps the top source of plant based Omega-3s. Probitoics are added as well. It is surprising how many top athletes use Living Fuel’s products. In addition tho these top 2 food bars a few others deserve mention. First is the Pure Organic Bar. Their main predicts are the fruit and nut bars with lots of protein and fiber. While definitely a big step down from the top 3 bars as far as dense nutritional profile, these are delicious and a good snack. These are low in calories, about 200 per bar, and have a cookie dough soft chewy consistency. The spices they use for the various flavors are delicious. Chocolate brownie and Apple Cinnamon are my personal favorites although the blueberry is a little more juice tasting. 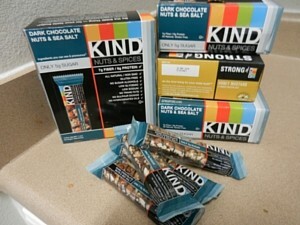 Another bar that falls more into the snack category is Kind Bars. All ingredients are Non-GMO and there are a dozen flavors,, mostly centering on nuts and some cocoa. These are sweetened a bit more than some others and are not nearly as filling but are a convenient snack and miles ahead of the protein isolate of the typical store food bar. These are more like chewy granola bars with honey and antioxidants added in. While the name of these bars was more original 10 years ago, it gets confused with others in recent years. These were one of the first organic food bars I had ever tried. The one I had was the Active Greens which is very green colored but surprisingly sweet and moist. This likely comes from its first two ingredients which are almond butter and Dates. 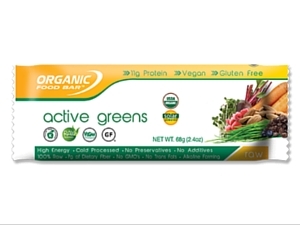 If you only try one variety of this bar, do try the Active Greens. It has the most nutrition and it will surprise you at the mild flavor and moist composition of the bar. Its protein blend is made from Organic Pea Protein and Organic Pumpkin Protein, a different blend than most bars. Similar to Boku Super Bars, it then adds Organic Bio Sprouts of Flax, Quinoa and Broccoli and other veggies like Beet Juice and Carrot juice. a good dose of wheat and barley juice powder is added as well. Organic Food Bars are an excellent choice for a snack bar. A Battle of two Food Stores focused on non-GMO and organic foods. Side by Side comparisons are usually fun and often very revealing and informative. This comparison reveals a bigger difference between them than expected. 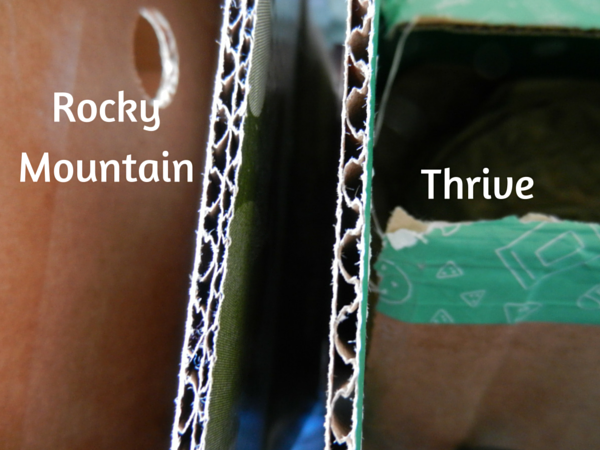 Dozens of people have asked me about Thrive Market and Rocky Mountain Naturals so I thought a side by side comparison of them would be good. I have shopped with Rocky Mountain Naturals a dozen times and have ordered from Thrive as well. Let’s look at everything from product selection, packaging, prices, website and fees. There are some similarities and some significant differences. 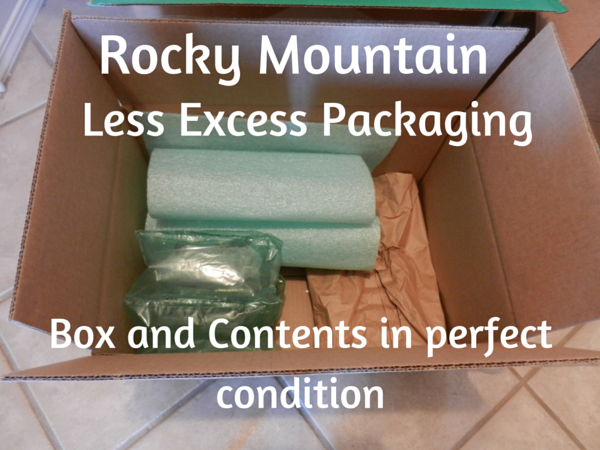 Revealed: Rocky Mountain Naturals wins hands down at safely delivering the cleanest products and most variety with no membership fee. Their website loads lightning fast. A page with 50+ product images will load in much less than a second. There is no waiting for images to load. You have to experience to understand. Additional Information Ships within 24 hours. Some orders ship same day. Orders can take 3-5 days to ship. This is a very important category for me and my family. Non-GMO foods have no place in our home. Rocky Mountain wins this category as they are the only online store I have found that offers exclusively non-GMO foods. According to their product selection process, they only carry about 25% of the products or brands that ask to be carried. I have found their selection process to be surprisingly disciplined. These are the cleanest foods you can find. Thrive Market also carries a lot of non-GMO foods which is great. The difference I found is they also carry brands such as Kashi. This was actually disappointing to me to see this and other similar brands. In 2012 Kashi’s parent company donated $600,000 to Fight against labeling of GMO foods. Once Vermont passed a low requiring GMO labeling, Kashi stood out against it. Kashi was also caught a few years ago mislabeling ingredients as organic that were not. In fact they admitted that some of their ingredients were non-GMO as it was difficult to find non-GMO ingredients. Yet when Cornucopia Institute tested their Go Lean Cereal, it was found to be 100% genetically engineered soy. I did email the product manager at Rocky Mountain and was informed that they have never carried Kashi for the reasons listed above. Rocky Mountain wins here as they seem to do a much better job carrying only clean foods. Thrive Market has an annual membership fee of $59.95. This was recently raised from the original $49.95 payable every year. Rocky Mountain has no annual fee and is the clear winner. However some of this is mitigated by the differences in shipping costs. Thrive market has free shipping on orders over $49 and wins in this category. Rocky Mountain has free shipping on orders over $149 and $4.99 on orders over $100. Combining this with the membership fee of Thrive and it appears Thrive is targeted to people that will order less at a time but order at least 10 times throughout the year. Rocky’s policy would favor those ordering $100 or more in a order and ordering even just one or two times per year. On a personal note, we tend to place orders that average $100-$200 per order. Rocky is a clear winner in this category. There shipping boxes are exceptionally sturdy Triple walled boxes that can take a real beating without a dent. When the orders get larger, double walled boxes are fitted inside the triple walled, giving 5 layers of corrugated cardboard. I joked with my friends that they protected my Coconut oil better than my computer company did when my computer was shipped. 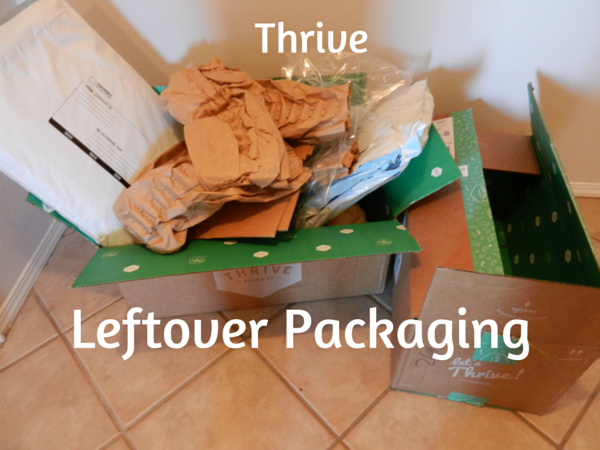 I was a bit disappointed with Thrive’s packaging. The boxes were standard double walled only and one had a corner torn and side bent in. 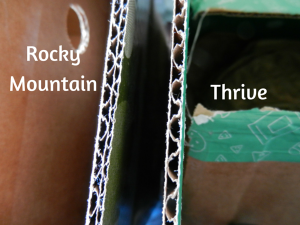 You have to see Rocky Mountains boxes in person to see the difference. Thrive also calls itself “the first socially responsible” food company and yet the left over packing material was 3x as much as with Rocky Mountain. This brings up one thing that really disappointed me. In this fight against GMOs and promoting organic food, we need to all stick together. Thrive, however, promotes itself as the first and only socially responsible organic food store. This to me goes beyond marketing and is not only incorrect but very divisive. Disappointing and incorrect. Just using Rocky Mountain Naturals as one example, we can see Thrive is not the only one. 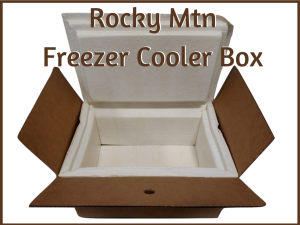 Rocky Mountain’s “cooler” boxes for shipping frozen food are not made from just any foam, but rather non-GMO corn as insulation. Extremely socially conscious in my opinion. 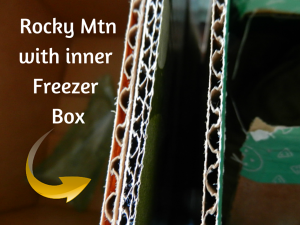 Rocky Mountain sells and ships frozen foods, veggies, fruits, grass fed beef, Orca Bay seafood and other frozen foods. They also ship refrigerated foods. We have received 2 frozen shipments from them and even with a 2 day delivery the foods in the summer arrived frozen solid. The cooler they use with dry ice and ice packs really impressed me. The refrigerated items are in a section above the frozen. Thrive does not have frozen or refrigerated foods. They did ship the chocolate bars in a cool insulation envelope with ice pack but it was melted and the chocolates had deteriorated in quality due to the heat. This is very important when buying organic food as many are so highly priced. Both companies did an excellent job at having prices lower than normal online organic food stores. On average both were about 35% less than Whole Foods Market, ShopOrganic or other online stores. Each had some products priced lower than the other. Thrive had a slight edge with a few more lower priced than Rocky. In a few instances, Rocky’s prices were much lower. It did seem that Thrive has increased its prices on a few items recently and with their membership fee being increased as well, they may be feeling the pinch of business startup costs. Thrive is a newer company so this increase may need to be done even more in the near future. Rocky’s prices on a few items have also dropped in the past couple months and this could possibly continue as they are gaining more and more customers. 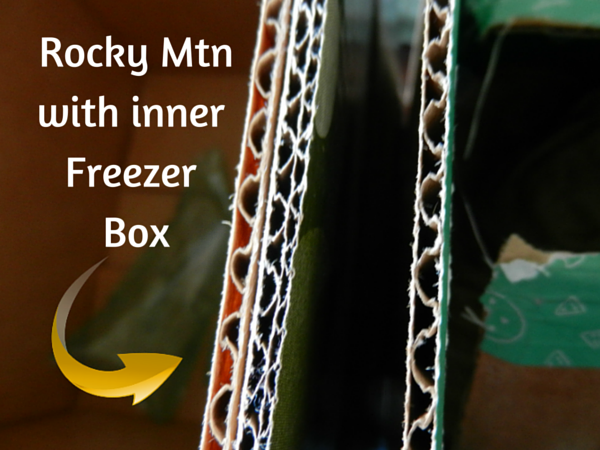 Rocky Mountain, however, has a low price guarantee and will refund the difference if a customer finds a better price after purchasing. Thrive is less than 1 year old started around the end of 2014. Rocky began distributing food in late 2011 and is 4 years old. Rocky Mountain Naturals website is truly remarkable. It has lighting fast load times and is very bright and pleasing. I would challenge anyone to click on a brand like Eden or Amy’s that has a lot of products and try to scroll down the page faster than those 50+ product images can load. There is no wait time at all. I am extremely impressed with their new site which was introduced in October. Their old one was great in many ways but had very slow load times. With this new design they have eliminated any wait time. Rocky Mountain’s new site has a shopping -List type cart. I made a couple lists and I can bring up a list, remove an item add a couple others and be done shopping in a couple minutes. There seems to be a dramatic difference here. Thrive Market really disappointed here. My first order took over a week to be shipped, took 2 weeks to arrive and 3 different calls to customer service which provided me with 3 different answers as to where it was shipping from, how many different boxes would be shipped and if the order would arrive in pieces on separate days or all on the same day. The first person I spoke with gave me a very poor impression. I then did a Google search for Thrive Market shipping and read over 150 comments on 3 separate blogs with customer complaints on the topics of shipping times up to 3 weeks long, dented product cans and customer service. Trying to Cancel Thrive Market’s Free Trial membership seems difficult and hundreds of customers have posted online about attempting to cancel the membership Free Trial for weeks and being charged the fee anyway. This may be a company oversight due to Thrive being so new, but it is very problematic. When I called to cancel my free 30 day trial, I was faced with a hard sell tactic of 10% off my next order if I stayed, then offered a half priced annual membership and it took 2 contacts with them to get it cancelled. This felt like acts of desperation on the part of Thrive. 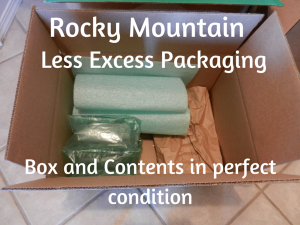 Rocky Mountain’s customer service has been excellent to work with. Some of the best I have ever dealt with.